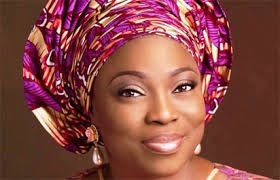 Wife of the Lagos State Governor, Bolanle Ambode has appealed to all mothers and women in the state and the country at large to take a stand against corruption. She spoke at Protea Hotel in Ikeja, Lagos, during a one day seminar and award presentation, organized by Fight Against Corruption Organization (FACO), with the theme; “The role of women in the fight against corruption”. Ambode, who was represented by Titilola Ayinla, said the fight against corruption should start from the home front by discouraging any act, behaviour and attitude that aid and abet corrupt tendencies. According to her; “If we succeed individually in our various homes, there will be no room for corruption and corrupt practices in the larger society. She added that the fight against corruption must be seen as a priority in which everyone is a stakeholder and actively involved, if we truly desire to address the issue of pervasive poverty and make the economy work for everyone. Ambode congratulated and urged the awardees to intensify efforts to fight corruption in their respective capacities while also commending FACO for the initiative. Executive Chairman, FACO, Dr Francis Shopekan said the nation cannot go well without the impute of women, whom he described as home builders and future leaders. According to him, to curb corruption, government has to pick all those that have a foreign account, freeze the accounts and have a dialogue with them and make it mandatory that they should establish businesses in the country where they will employ a minimum of 100,000 youths. The keynote speaker, a Human Right Activist, Funmi Falana, said no country is free from corruption. She noted that the prosecution process in the country is faulty; adding that it is one of the reasons corruptions is still the way it is in Nigeria. She said women have always been in the fore front of fighting corruption, noting that women are the custodian of virtues in the society. “What we have in Nigeria is not democracy, it is moneycracy. We must address our system of politics and the entire process must be changed. We can only deal with corruption if we all fulfill our roles in the home and the society at large. Corruption will continue except we all stand up and take necessary steps to curb corruption,” she said. Former Deputy Vice Chancellor, Lagos State University (LASU), Prof Ibiyemi Bello said corruption is in all sectors, urging all to vote their conscience in elections. She urged women never to give up on any situation, noting that women have to work twice as hard as men. “Women should get busy, compete with men in their field and do extra work,” she said.